VoIP business IP phones from Digium include HDVoice, feature unprecedented plug-and-play deployment and are extremely competitively priced to meet a variety of budgets. With multiple line appearances, contextual soft keys, and advanced applications, the end-user can access the information they need instantly. Digium’s phones work exclusively on Asterisk-based phone systems and Digium SwitchVox phones work on all phone systems. 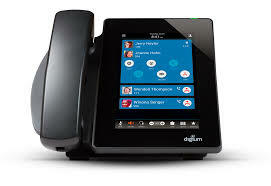 Digium Phones are the first VoIP business phones designed specifically for Asterisk-based phone systems. All models include HDVoice, feature unprecedented plug-and-play deployment, and are available at a price to fit any budget. With multiple line appearances, contextual soft keys, and advanced applications, you can access the information you need instantly. 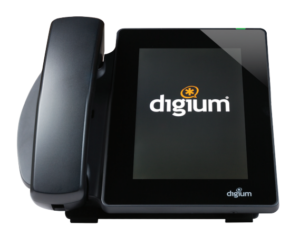 Digium’s phones are the only phones that allow you take full advantage of the flexibility and customisation of Asterisk. An executive-level, feature-rich, HD phone with a 4.3-inch colour display, 6-line keys with 10 pages of 6 rapid dial/busy lamp field (BLF) keys, and dual 10/100/1000 Mbps Gigabit network ports. This model is ideal for executives and users who want a colour display, top-of-the-line features and require Gigabit networking. An executive-level, feature-rich, HD phone with a 4.3-inch colour display, 6-line keys with 10 pages of 6 rapid dial/busy lamp field (BLF) keys, and dual 10/100/1000 Mbps Gigabit network ports. This model is ideal for executives and users who want a colour display, top-of-the-line features, and require Gigabit. A mid-level HD phone with a 4.3-inch colour display, 2-line keys, and dual 10/100 Mbps network ports. The D60 is Digium’s best value for any user who wants a colour display but doesn’t require Gigabit networking. Handset spares and wall mounted kits for all IP Phones. Power Adapters for International and North America IP Phones.